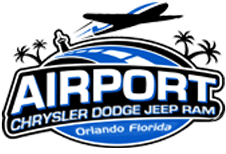 Airport Chrysler Dodge Jeep in Orlando, Florida is eager to welcome you over to our convenient Orlando, Florida location so that you can slip behind the wheel of a brand new Chrysler 200 for an invigorating test drive! Our team of friendly professionals can't wait to review all the standard and available features of this sleek new ride, so make your way over from Winter Park today or use our easy-to-navigate website to explore our affordable selections right now! The Chrysler 200 is an elegant vehicle that glides over the road with a choice of nine different wheel designs. The horizontal front grille leads your way as the advanced LED technology headlamps, taillights and fog lights ensure you can see the road ahead. The new Chrysler 200 boasts seating for up to five adults and has vast interior dimensions that ensure everyone can comfortably enjoy the ride. Take hold of the steering wheel and utilize the integrated control switches and paddle shifters for a custom ride that is as unique as you are, head over to Airport CDJ for a test drive today. You can rest assured your safety and security needs are being provided for when you secure a new Chrysler 200, as this vehicle comes standard with eight airbags that are strategically placed to offer you with a wall of protection in the unlikely event of an accident. The Blind Spot Monitoring System assists with smooth lane changes, helping to reduce the risk of collisions, while the Adaptive Cruise Control with Stop and Go can respond to the flow of traffic. The Electronic Parking Brake with Safehold can engage the parking brake should you attempt to exit your new Chrysler 200 without first shifting into park and the ParkView® Rear Back Up Camera displays an image on your Uconnect® touchscreen so that you can easily reverse out of any situation. 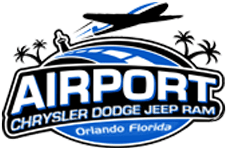 Explore more safety and security features, visit Airport Chrysler Dodge Jeep in Orlando, FL now! Drive home in a vehicle that boasts a 2.4-liter Tigershark® MultiAir® 2 engine today, secure your new Chrysler 200 in Orlando, FL now! This impressive engine delivers a horsepower rating of 184 and 173 pound-feet of torque to tackle all of your power needs. If you're looking to step up to a larger engine, talk to one of our friendly associates about the 3.6-liter Pentastar® V6 engine that is available! We'll get you set up for a test drive so that you can experience the raw power for yourself! Don't miss your chance to drive home behind the wheel of a new Chrysler 200, visit our finance department to learn how you can take one of these impressive, eye-catching new models home today, even if you have a less than perfect credit score! Airport Chrysler Dodge Jeep looks forward to welcoming you over to our Orlando, Florida location soon!